Mumbai, Feb 20: Shiv Sena chief Uddhav Thackeray said on Tuesday evening that he decided to join hands with the Bharatiya Janata Party because of the saffron party's changed way of dealing with its allies. 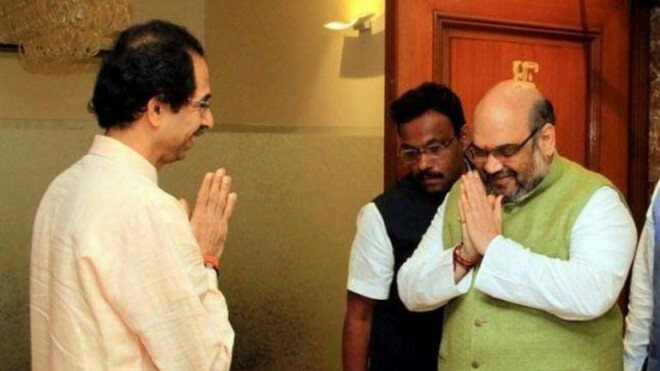 On Monday, Shiv Sena and BJP, the sparring ruling allies, announced that they would contest the coming Lok Sabha and Maharashtra assembly elections together. "I experienced the change in the way they treat people, hence I decided to join hands with the BJP," Thackeray said. He also reiterated that the BJP's proposal that the chief minister will be from the party which will send more MLAs to the assembly was not acceptable to the Sena. "I want to see a Sena chief minister and I will work for it," he said. Thackeray was speaking to Sena workers at his residence in Mumbai.